In the world of email marketing, there is a natural desire to keep up with current events and incorporate those events into your campaigns. Engaging your customers with what is happening at the moment is one of the best ways to boost response rates and sales, but sometimes the risks involved are simply too great. A case in point is the upcoming Olympic Games in London. There has been a great deal of excitement and anticipation leading up to this year’s games, and some email marketers are looking at ways to incorporate the spirit of athletic competition into their new campaigns. It is best to tread cautiously in this arena, however, since many of the images and terms associated with the Olympic Games are trademarked, and those trademarks are strictly enforced, with heavy penalties for misuse. If you are considering a campaign that revolves around the 2012 Summer Olympics, it is a good idea to research all of the ramifications ahead of time. You might find that the images and related materials you plan to use are protected, and that use in your planned marketing campaigns would represent a possible infringement. Before you use any type of image, whether it is the Olympic logo, an official Olympic medal or anything else, you will want to check the restrictions beforehand. You may find that it is better to go with a more generic image than to risk infringing on a protected property. The good news is that there are still some ways smart marketers can take advantage of the excitement surrounding the 2012 Summer Olympic Games in London. Creating a sports-themed email marketing campaign that does not utilize any logos or images from the Olympic Games is one idea. Creating a contest where top customers are rewarded with non-Olympic themed prizes is another. 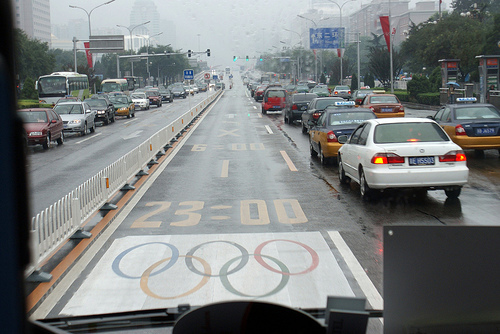 The key is to understand all of the various rules and regulations surrounding the Olympic Games. Once you understand what you can – and cannot – use in your own email marketing campaigns, you will be in a much better position going forward. The cost of infringing on the intellectual property of another party is high, and unfortunately it is always a risk for the email marketer. Every time you use an image, you need to ensure that the image is available for you to use. The same is true of trademarked terms and events. Many email marketers may not be aware that commonly used terms for sporting events, from the Superbowl to the Olympic Games, are protected by the organizations governing those businesses. Taking the time to learn about this type of protection can help you steer clear of potential legal pitfalls without compromising the effectiveness of your email marketing campaigns. We suggest you that you visit the Official site of the London 2012 Olympic and Paralympic Games for further details about trademarks and authorizations.